As interest in electric vehicles grows, attention is turning to the light commercial vehicle market. Terry Martin reports. Electric vehicles account for only a fraction of Australia’s booming new-vehicle market, and among light-commercials there is just a single option, Renault’s Kangoo ZE compact van, that tradespeople can plug into. 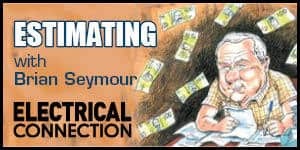 You might have noticed electric vehicle charging points cropping up in public places around Australia, and news headlines about state governments and industry either joining forces or going it alone in building a recharging infrastructure along major highways to ensure motorists can travel longer distances in EVs without fear of being stranded with a depleted battery. Look a little deeper and you’ll also see there are big moves afoot among the leading vehicle manufacturers – particularly in Europe, the US and China – in terms of ramping up development of electrified vans and, in one notable case, even one-tonne utes. This is happening at a time when sales of diesel-powered vehicles are declining in Europe – a shift which followed revelations that many diesel engines are emitting more pollutants than lab-based tests suggested – and as emissions regulations are getting ever more stringent. Various countries are also now formulating plans to ban the sale of new vehicles with regular petrol or diesel internal combustion engines. Norway, for example, is preparing for a clampdown by 2025, France and the UK are following suit from 2040, and India has similarly raised the prospect of banning fossil fuel-based cars by 2030. In the meantime, many other countries (and individual states) have set official targets for electric vehicle sales, while major cities are establishing, or tightening up, congestion charge zones that allow free passage for EVs. Australia has not announced any move to curtail petrol or diesel vehicle sales, and does not offer any incentive to purchase EVs, meaning the rate of change here is much slower. But we are not immune to the overseas trends. Renault has kicked things off with the Kangoo ZE and other brands are building a case for electric vans here – not only as their parent companies step up development, but as the benefits of owning and driving EVs become clearer. After running a pilot trial in recent years with Australia Post using the Kangoo ZE, Renault Australia now has its hands on a heavily upgraded model that it is offering, for the first time, directly to the public – starting in Melbourne and Sydney. Priced from $45,990 plus on-road costs, the Kangoo ZE is available in long-wheelbase Maxi form and features a new 44kW/226Nm electric motor and higher-density 33kWh lithium-ion battery pack that offers a 270km driving range on the official New European Driving Cycle (NEDC) – up from 170km on the previous version. Renault Australia’s senior model line manager for electric vehicles, Elena Woods, says this extra range makes the Kangoo ZE “really quite accessible for your average small van user” and that with the further addition of an uprated charger, the battery can now be fully recharged in six hours when plugged into a 7.4kW wall box – or topped up with 35km of range in just an hour. Elena says tradespeople are on Renault’s radar for the Kangoo ZE, despite it being priced $19,000 above the regular diesel-powered model. She points to benefits such as its zero emissions, marketing advantages, feel-good factor, low running costs, ease of use (lack of noise and vibration causing less fatigue, for example) and quiet operation (which can allow for working at later hours in urban areas). And no compromise on load carrying capacity and the like. “While Kangoo ZE is new to Australia, Renault has sold over 25,000 of them in Europe where they’re very much a member of ‘the today’ rather than a trend for the future, and we would definitely advocate that this is the way things are going,” she says. In Europe, she says, Renault, which also sells the larger Master ZE, has found “drivers are calmer, companies have discovered that there are less sick days, less accidents – this is more anecdotal … but it is like driving something that feels very futuristic but is actually something that can blend into your business life. Elena says the lack of public EV recharging points in Australia is really a side issue for business operators in urban areas, who should have plenty of range from an overnight charge at home or work using a wall box delivering 7-22kW – a unit that typically costs $2,000-$3,000 fully installed by one of Renault’s preferred suppliers. “We tend to think of infrastructure in line with how we think of petrol stations,” she says. 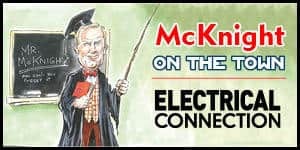 “They’re very visible, they’re external to our house, and they’re everywhere – and obviously charging infrastructure is not to the same scale. Topping up, if needed, is usually a simple matter of a quick charge at work during a lunch break or down period, with Elena adding that drivers “will effectively never have to go out of their way again to fill up their vehicle because it will always be there and charging when it has the chance”. Renault claims the updated Kangoo ZE is capable of up to 200km in ‘real-world’ conditions, up from 125km in the previous model. This depends on factors such as terrain, temperature, wind and driving style, but Elena says ‘range anxiety’ should not be a factor for the typical tradesperson working in the suburbs. Chinese auto giant SAIC Motor has developed a full-electric version of its LDV V80 large van and cab chassis which is now on sale in New Zealand (as well as China, Europe and the UK) and is under consideration for trial in Australia in partnership with local distributor Ateco Automotive. The eV80’s electric motor produces 92kW/320Nm – similar to the output of the 2.5L diesel version sold here – and combines with a 56kWh battery that can deliver a driving range of 192km (NEDC). A full recharge can be completed in about two hours with a fast-charge unit. An electric version of LDV’s smaller G10 van is also now available overseas, powered by a 75kW/380Nm electric motor – again, a close match to the current 1.9L diesel – and offers a driving range of about 200km. Just 90 minutes is apparently all that’s needed for a full recharge using a high-capacity outlet. “Electric vans very much are on our ‘to do’ list,” says LDV Automotive Australia’s Edward Rowe. “With regard to Australia, we believe there is a clear and obvious place for an electric van or, indeed, vans of different sizes. “Our studies show that our customers typically use their vans for 150-200km per day and their routine means they have a centralised place where one or two times a day, while loading or unloading, they can recharge their vehicles. “The vast majority of vans are used in metro areas and it is here that a zero-emission vehicle, especially one replacing diesel-powered vehicles, can make a significant contribution to reducing localised pollution, both air and noise pollution. Edward echoes the sentiment from most other auto-makers in Australia when he says that the sticking point for LDV is “a lack of government commitment and policy on EVs”. “We are not saying that EVs need financial support or government financing,” he says. “What is required is for the government to have a policy on EVs that, with changes to all the legalities of importing and selling vehicles, at least places EVs on a level playing field with vehicles using existing energy sources and which recognises that EVs, by their very nature, require different rules from petrol- and diesel-powered vehicles. He also emphasises that cities around the world are “actively planning to first ban diesel service vehicles – vans, light trucks and utes – and then mandate EV versions of these vehicles that, quite simply, keep cities functioning”. “So EV vans are very much the future and LDV very much wants and plans to be part of this fundamental change to how business vehicles serve the population in our cities,” he says. LDV is also known to be working on plug-in hybrid and hydrogen fuel-cell versions of its vans, while electric versions of the newly launched T60 one-tonne ute were spotted recently by Australian journalists at SAIC Motor’s proving ground in China. 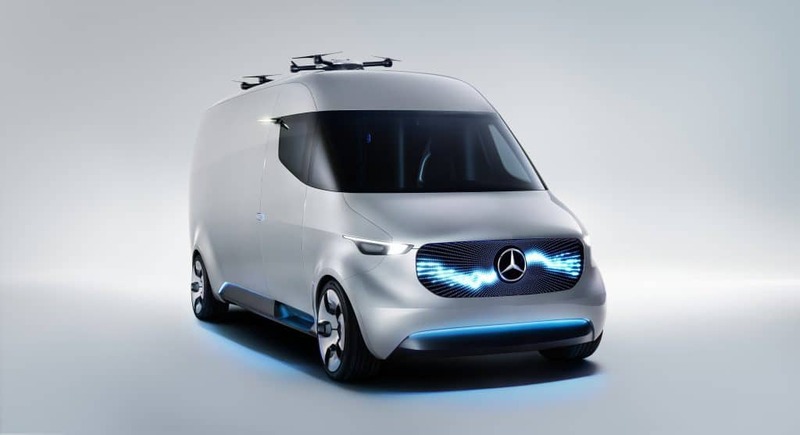 Mercedes-Benz is investing around $233 million to electrify its commercial vehicle range, based on the Vito and Sprinter, and has secured a major deal with Hermes in Germany to electrify 1,500 mid-size and large vans by 2021. Pilot projects in Hamburg and Stuttgart are already underway. “When series production of electric Sprinter and Vito starts to ramp up at the end of 2018, the intention is that electric vans will start to be offered to all our customers, including those in key markets outside of Germany,” says Blake Vincent from Mercedes-Benz Vans (Australia/NZ). “However, when this translates to production availability specifically for Australia is still unclear. We expect there to be significant interest in both Australia and New Zealand. We already regularly receive enquiries about electric vans from major fleet companies who are looking to improve efficiency and sustainability in their operations. Thinking further afield, Mercedes has developed new vehicle concepts such as the Vision Van and is trialling EVs as part of a broader connected network, where companies can facilitate things like optimal route planning and job allocations based on a van’s battery charge and remaining range. There are a host of other full-electric and plug-in hybrid vans in various stages of development, pilot trials and production overseas from the likes of Volkswagen (e-Crafter), Ford (Transit PHEV), Nissan (e-NV200), Iveco (Daily Electric) and Peugeot/Citroen (Partner/Berlingo Electric). US EV giant Tesla Motors has committed to building a cargo van, and you can count on light commercial vehicles (LCVs) being among the 20 new EVs from General Motors by 2023. 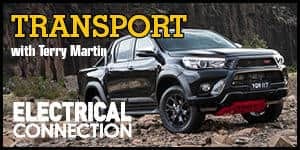 Toyota recently presented an LCV D-Cargo concept, signalling its intention to get in on the act, while pure-electric light-duty trucks such as the Mitsubishi Fuso eCanter is well established overseas. Among the Australian divisions of these motor companies, there are no concrete moves to bring electric vans or other plug-in LCVs here any time soon, with varying degrees of interest but a clear recognition that international trends cannot be ignored. As Renault’s Elena Woods puts it: “I don’t think Australia is immune to global trends. At the moment, we would be considered to be lagging on electric vehicles, but that is quite possibly because there are no substantial incentives on their registration that other countries – the UK, France – have in place that has really enhanced the uptake. “Our volume forecasts for the time being are modest, in line with the market in Australia today. But it would be remiss of us to not use the experience and wealth of knowledge that Renault has accumulated in Europe with the sales of its electric vehicles, to not bring them to Australia.